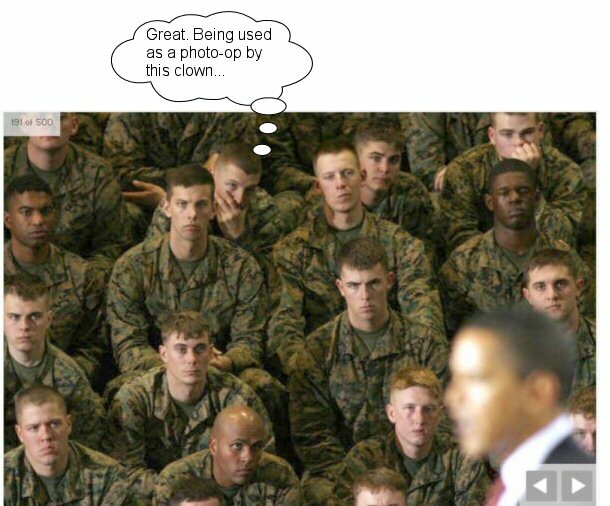 Why is Obama Forcing the Marines to Wear a "girly-man" Hat? Old hats LEFT, New hats RIGHT. 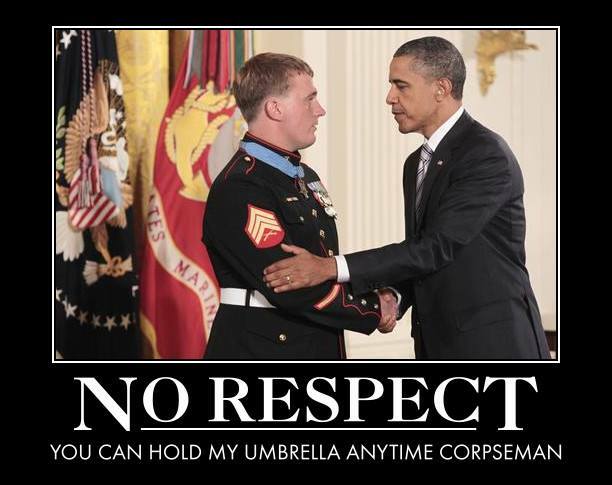 Is the male Marine on the right wearing lipstick with his new girly hat? Will they all have to start wearing kilts next? A change to the Marine Corps’ uniform hats could take the hard-nosed Leathernecks from the Halls of Montezuma to the shops of the notoriously ‘gay’ Christopher Street. The thin new covers have a feminine line that some officials think would make them look just as good on female marines as on males — in keeping with the Obama directive. “The Marine Corps is being ‘encouraged’ by DoD to standardize on a unisex/universal dress and service cap,” Marine brass noted in an internal memo obtained by The Post. 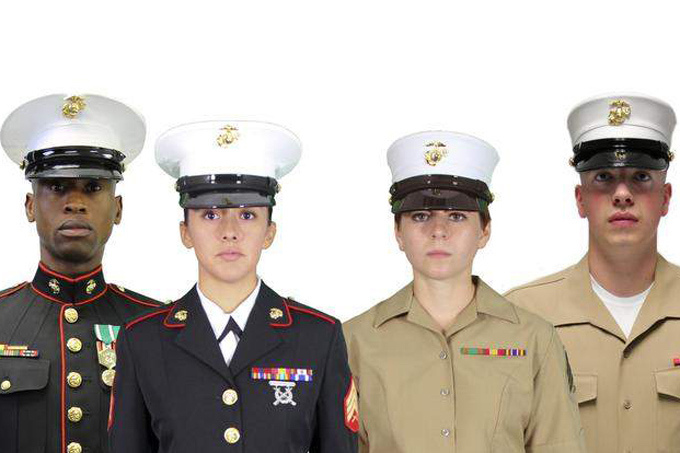 Male and female Marines currently wear gender-specific caps. The controversial covers have been dubbed the “Dan Daly” hat, after a World War I sergeant from Long Island who twice won the Medal of Honor. “The new cap looks too French, and the last people we want to associate our Marines with would be the French military,” wrote one commenter on the Marine Times Web site.